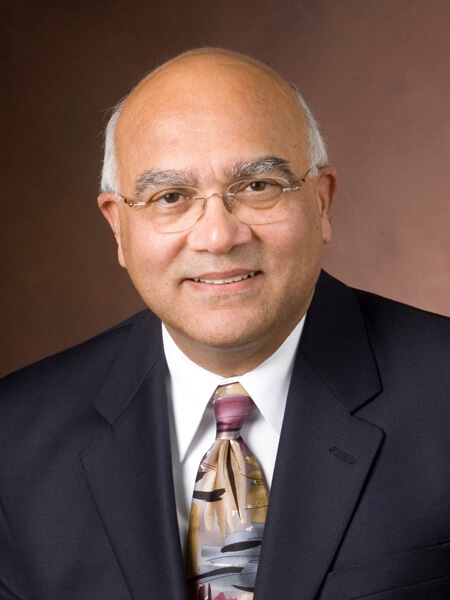 Dr. Arvind Varma, R. Games Slayter Distinguished Professor of Chemical Engineering at Purdue University, has been selected to receive the 2018 American Society for Engineering Education Benjamin Garver Lamme Award for his distinguished accomplishments. Varma will be presented with the award, which includes an engraved gold medal and framed certificate, during the Annual Awards Luncheon at the 2018 ASEE Exposition on June 27 in Salt Lake City, Utah. Benjamin Garver Lamme (1864-1924) spent most of his life working for the Westinghouse Electric Company as an inventor and a developer of electrical machinery. He pioneered the design of rotary converters, developed direct current railway motors and produced the first commercially successful induction motor. His interest in the training of young engineers resulted in the development of a design school at Westinghouse and in the endowment of the Lamme Award. Professor Arvind Varma joined Purdue in January 2004, and served as Head, School of Chemical Engineering from then until July 2016. He has received various recognitions for his teaching, research, and engagement. His research group investigates topics in chemical and catalytic reaction engineering, new sources for energy and chemicals, and synthesis of advanced materials. The projects typically involve combined experimental and modeling studies. Varma also serves as the director of the Purdue Mexico Center for Sustainability. The mission of the American Society for Engineering Education is to advance innovation, excellence, and access at all levels of education for the engineering profession.